作者: Alessandra Bonanomi on 25 January , 2019. From December 4, 2018, to March 3, 2019, the National Museum of Art present “Goryeo: The Glory of Korea”, a comprehensive overview of art in the Goryeo Dynasty. The special exhibition brings together 450 artworks, including works on loan from 45 institutions, 11 of them in the United States, United Kingdom, Italy, and Japan. Goryeo (918–1392) was founded by Wang Geon, who successfully reunited a fractured nation and spawned a dynasty. For the first time in Korean history, the newly appointed capital of Gaegyeong was located in the center of the peninsula. From its seat of power, the Goryeo Dynasty took an open-minded approach to embrace the previous dynasties’ cultural traditions during a period of upheaval in East Asia. It also encouraged dynamic cultural exchanges with neighboring countries. Goods and people moved in and out of Goryeo freely, to the extent that foreigners were appointed as chief councilors. 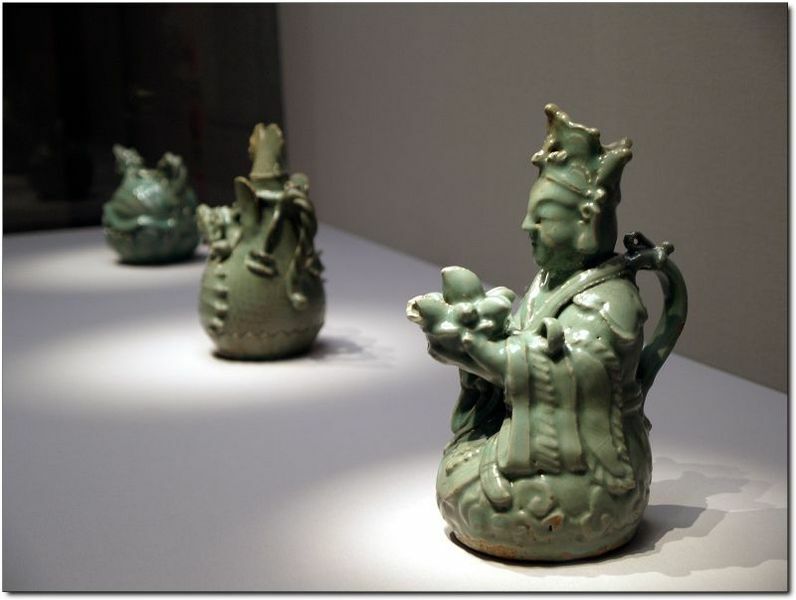 The exhibition tells the story of Goryeo cultural development in four themes. The first part of the exhibition focuses on the story of Gaegyeong, the Capital of Goryeo. It shows Goryeo’s open attitude towards foreign nations as its many land and sea routes enabled a flow of diverse products and practices. This turned Gaegyeong into an international/cosmopolitan city frequented by foreigners. Gaegyeong’s development is also intrinsically tied to courtly art, which also flourished in the capital. The second section is linked to Buddhism, perhaps the most interesting theme in the exhibition. Although Buddhism, Confucianism, Taoism, and other philosophies peacefully coexisted during the dynasty, the Buddhist culture was the foundation for its greatest works of art. This section offers a look inside the mystical dimension of Goryeo culture. The representative case is Buddhism’s contribution to Goryeo’s print culture. Goryeo had a long history of publishing and produced the world’s first movable metal types. It was used to print a collection of Buddhist teachings compiled by a Goryeo monk. Alike medieval monks in Europe who spent their days transcribing the Christian Bible, Buddhist monks painstakingly copied sacred scriptures by hand. The exhibition also takes visitors on a pilgrimage to see Buddhist sculptures and paintings from the period. The final section of the exhibition, “The Brilliant Technical and Design Expertise of Goryeo,” focuses on objects that represent the zenith of Goryeo artistry. In Goryeo, art flourished in an open and inclusive society that allowed accomplished foreign artisans to join government-run workshops. Artists embraced new technology to develop the highly-esteemed Goryeo celadon and worked to perfect their technique in exquisitely detailed Buddhist paintings and meticulously crafted lacquerware with mother-of-pearl inlay, known as najeon chilgi. This approach enabled the dynasty to achieve a brilliant and original culture that continues to enrich Korea’s history and culture. “Preparing the exhibition took more than two years” declared Ms Lee. “So far (December 24), more than 25,000 people visited the event, around 1,200 people per day”, she added. This huge exhibition is a great opportunity for seeing probably the most beautiful art pieces in Korea. Very different from the ones in the Joseon dynasty, the Goryeo artworks reveal a meticulous interest for details and sophistication. Visiting the exhibition may be an important experience both for Koreans and foreigners to better understand the Korean culture and history.